No doubt remains: a mole has infiltrated "the Circus," code name for the British Secret Intelligence Service. It can only be one of four men operating at the very highest level. Sidelined agent George Smiley is covertly tapped to root out the mole, a task that requires a painstaking dig through the double-blind world of Cold War-era espionage and his own past. Alec Guinness brilliantly captures the weary heart and steely soul of John le Carré’s master spy in an intricate drama hailed as one of the finest ever made for television. When a property leaps to the big screen, it gives earlier takes on the tale another shot of attention. 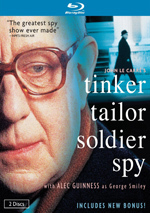 With the Gary Oldman cinematic version of Tinker Tailor Soldier Spy the subject of ample attention, it seems like the right time to revisit the 1979 TV mini-series with Alec Guinness. As part of “Operation Testify”, secret agent Jim Prideaux (Ian Bannen) goes undercover in Czechoslovakia partly to bring in a disaffected foreign agent named Stevcek. His boss “Control” (Alexander Knox) also wants him to help ferret out a mole within British intelligence. Control narrows the possibilities down to five men, and he gives them code names based on a children’s rhyme. These subjects include Director of Operations Percy “Tinker” Alleline (Michael Aldridge), Head of Personnel Bill “Tailor” Haydon (Ian Richardson), Head of Iron Curtain Networks Roy “Soldier” Bland (Terence Rigby), “head sleuth” Toby “Poor Man” Esterhase (Bernard Hepton) and Deputy Chief George “Beggar Man” Smiley (Guinness). Along the way, however, Prideaux gets captured by the Czech military, so when the story leaps ahead six months, it finds big changes. During that span, Control died of a heart attack and Alleline took over as the new head of the “Circus”. In addition, Smiley got forced into retirement, which is where we find him. Smiley gets brought back into the fold due to the concerns about the mole previously brought up by Control. 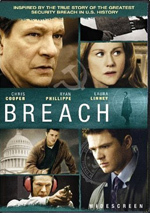 Senior government advisor Oliver Lacon (Anthony Bate) recruits Smiley to return to duty to take over that investigation and discover the leak in the Circus. 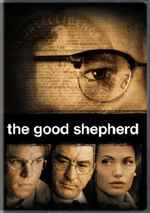 When the Gary Oldman feature film hit in 2011, audiences received a warning that they needed to pay intense attention to the complicated story. Apparently that same sentiment carried over to the home video release of the 1979 edition, as it even comes with a glossary of characters and terminology to help keep the viewer grounded. I won’t deny that I referred to the booklet occasionally as I wanted Tinker, though I’m not sure I really needed it; I probably went back to it more because I could than because I had to do so. In truth, the story isn’t really all that complicated – at least not as told here. The structure works to make as much sense of the tale as possible, which means it dollops out information gradually and succinctly. Actually, it tends to take a “chapter-based” form that allows it to often focus on one basic topic per show. For instance, Episode Two largely concentrates on the Ricki Tarr character and his connection with the overall narrative, while Episode Three generally sticks behind the scenes at the Circus and examines what led to Control’s ouster. This isn’t a perfect rule, of course, and plenty of threads appear in various shows, but it’s often the case, and the way the series encapsulates its topics per episode helps make the whole thin more easily digestible. Since Tinker usually just asks us to bite off a little at a time, we don’t feel overwhelmed by the enormity of the tale. It also comes with more “Basil Exposition” scenes than I’d expected. Given the series’ reputation, I’d figured that it’d provide little to ground the viewer, but that’s not the case. We get many sequences in which the characters clearly spell out the whos/whats/whys/whens/wheres. These threaten to feel like obvious exposition – such as when Smiley meets up with Roddy Martindale early in the series - but they usually receive adept enough handling to make them integrate well. All of this allows the series to move smoothly and logically. Heck, the final episode exists mainly to summarize the whole escapade. Does it occasionally run off the rails and become a little confusing? Sure, but those moments occur infrequently, especially given the project’s length and complexity. If asked to pick a preference between the 2011 film and the 1979 series, I’d probably offer a plea of apples/oranges. The 1979 take seems better developed and richer, but of course, it had about three extra hours at its disposal. The 2011 flick succeeds as the “Cliffs Notes” version and still delivers the necessary intrigue and depth, while the 1979 series acts as the more detailed one. It’s not better – it’s just different. The same goes for the inevitable comparisons between Guinness’s Smiley and Oldman’s. Guinness plays the role in a much more open, feeling manner than Oldman. The latter take gave us a character with an active inner emotional life who did everything in his power to keep those feelings clamped down, while Guinness’s Smiley shows more range. Again, this is neither good nor bad – it’s simply different, and both work fine. In fact, I’m quite happy that Oldman offered such a strong variation on Guinness’s work, as it would’ve been dull to see the character played the same way twice. One thing remains pretty clear: neither the 1979 nor 2011 Tinker variations will be for everyone. It’s just too dark and opaque a tale for a mass audience, and that’s fine. I like both and think the 1979 mini-series offers an involving, memorable version of a good thriller story. Tinker Tailor Soldier Spy appears in an aspect ratio of approximately 1.33:1 on these Blu-Ray Discs. The series first appeared on DVD in 2002, and that set was re-released in 2011; apparently the latter simply reissued the former and didn’t remaster it. I can’t say for sure that this package simply plopped the 2002 DVD transfer onto Blu-ray, but it showed no signs of much effort to clean it up for the high-res format. Which made this a mediocre at best presentation. Overall sharpness tended to be problematic. Occasional shots showed good clarity and accuracy, but much of the time, the image remained soft and fuzzy. Definition was better than DVD-quality but not by a lot. I didn’t notice issues with jaggies or shimmering, and edge haloes weren’t a problem. However, source flaws did create a lot of concerns. Throughout the shows, I witnessed more than a few instances of specks, scratches, blemishes and tears. Colors tended to be bland, and not solely due to design choices. Yes, this was a tale that opted for a chilly palette, but I still thought the hues seemed too drab and lifeless. Blacks were inky and pale, but shadows actually worked pretty well; those elements delivered fairly decent clarity. Even with that minor positive, this was a generally unappealing presentation that I suspect would look a lot better with an upgraded transfer. Though not as bad, I still didn’t find a lot to praise with the series’ monaural soundtrack. A lot of hiss came along with the audio, and that could cause distractions. Otherwise, the elements appeared average for their age. Speech wasn’t especially warm, but the lines remained intelligible and without edginess. Music and effects offered decent clarity and range but tended to lack much real pep. In the end, this was a mediocre track for something from 1979. A few extras fill out the set. First comes an Interview with Director John Irvin. In this 29-minute, 56-second piece, Irvin discusses how he came onto the project and aspects of its adaptation, casting, sets and locations, technical areas, how he got into his career, and general thoughts about Tinker. It’s too bad Irvin didn’t do a commentary for the series, though understandable given its length. At least this interview helps give us a pretty good overview; Irvin proves to be engaging and informative. From 2002, we get an Interview with Author John le Carre. It goes for 19 minutes, 33 seconds and provides the writer’s thoughts about the story and characters, influences and inspirations, and other notes about the series and the franchise. Le Carre fills out the chat with a solid selection of comments that give us a good perspective. 12 Deleted/Missing Scenes fill a total of 11 minutes, 26 seconds. That running time lets you know that you won’t get anything extended here; some are longer than others, of course, but all remain fairly brief. And fairly minor, as well – if anything significant popped up, I missed it. This was a mildly intriguing compilation of unused footage. Production Notes taken from an interview with producer Jonathan Powell discuss the project’s origins and development, casting, sets and locations, and other filmmaking issues. The “Notes” deliver a decent little summary. For more text, we find a John le Carre Biography. It gives us two screens of details before it finishes with a list of le Carre’s books. Though not especially detailed, this becomes a decent bio. Finally, a short Booklet offers cast credits and a glossary of terminology and characters. It’s a helpful “cheat sheet” to refer to throughout the series. 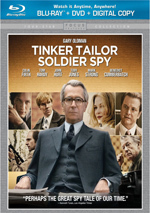 While not the world’s most accessible project, Tinker Tailor Soldier Spy offers a good mini-series for viewers willing to invest in it. The shows take on a complex story and tell it well. Unfortunately, the Blu-ray provides flawed visuals as well as average audio and supplements. I like the series but think this is a mediocre product.